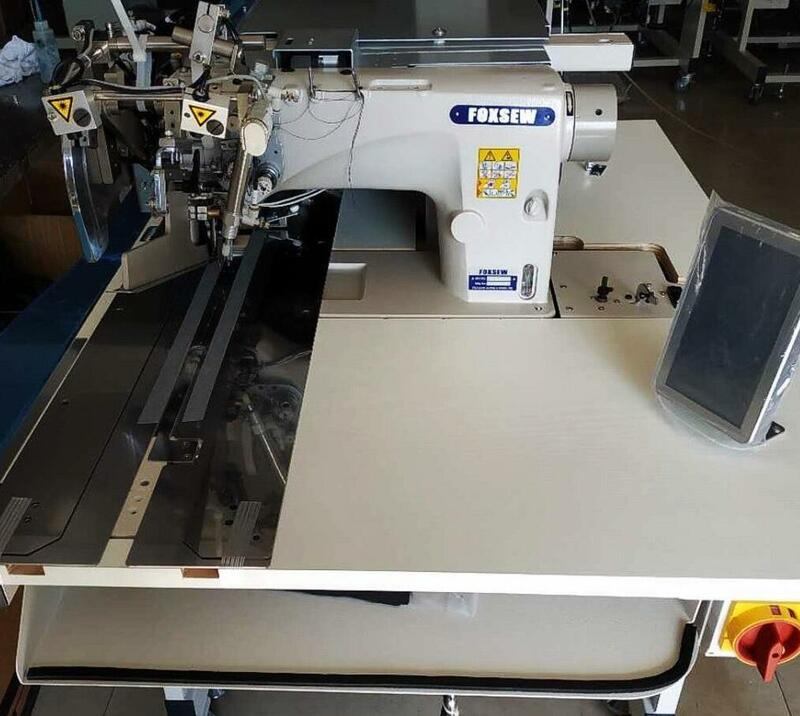 FOXSEW Automatic Pocket Welt Machines are ready for shipment to United States customers. Hope our machines can bring good profit to our vip customers, enjoy the new life in the new family. The "direct-drive motor", which transfers the motor power to the machine with no energy loss, not only offers economical benefits due to the power reduction, but also reduces the machine's vibration and operating noise, thereby helping reduce operator fatigue. The machine head is provided with a semi-dry head to eliminate staining with oil from the frame (the needle bar part). 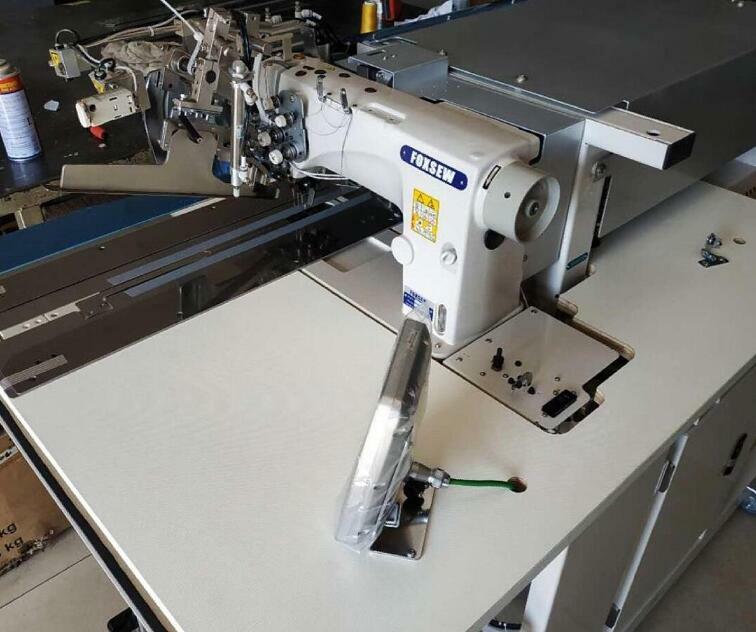 The machine supports the sewing of straight pockets (with flaps) on suits, jackets and pants. Double-/single-welt sewing can be changed over by the simple touch of a key on the operation panel. FOXSEW Automatic Pocket Welting Machine adopts industrial microcomputer control logical circuitry and Advance photonics.To sew pocket with width of the pocket can be changed in the scope of 25-195mm at discretion.Further more .it is equipped with auto-testing & displaying sensor,operates flexible,performs steady,all the features makes it a ideal equipment for producing suits. Previous: Automatic Pocket Setting Machine Next: How to Identify and solve Common Sewing Machine Problems?